My youngest is definitely a water baby. If we are upstairs she automatically toddles to the shower and if the doors are open she climbs in and stares longingly at it. 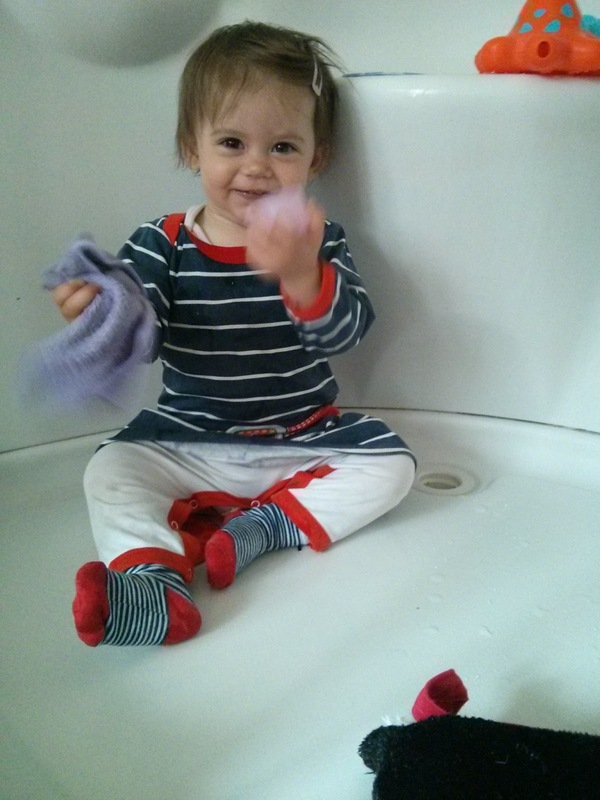 If there are any cloths that have water in she squeezes them onto the tray, just so she can make a splash. I think she would happily stay in the shower all day. It is a good way to keep her entertained whilst I get ready in the morning. That's lovely. Never heard of a child wanting to spend time in the shower before, but they are all different! Baby man is the same but normally gets his clothes wet and needs changing.